Throughout our lives we go through different stages and write different chapters. We start with our childhood, then our school years, early adulthood and then some of us become parents ourselves, as the life chapters continue on. Each stage and chapter in life brings new opportunities and leads us to new people, ones that help curate the memories that define the stages in life. These people become our friends. The high school best friends. Megan, Kara, Allison. When I look back at each chapter in my life, I can clearly see the people that share the memories with me. There are the childhood friends I cheer for on social media as they blaze their own paths. The high school friends that still walk through life with me just one text message away. The college friends that struggled through required classes and terrible teachers and are still there for you. In my life, the next chapter is Rob's military career and the friends the military brought into my life, the ones who helped me survive the long distances and unknowns. A couple of years ago we entered the most recent stage in our life, the post military chapter. I am defined now as only a mom and making mom friends is by far the hardest stage in life to make friends. The college best friend. BreeAnna. Two years into this stage, and I've found the friends that will define this chapter in my life. 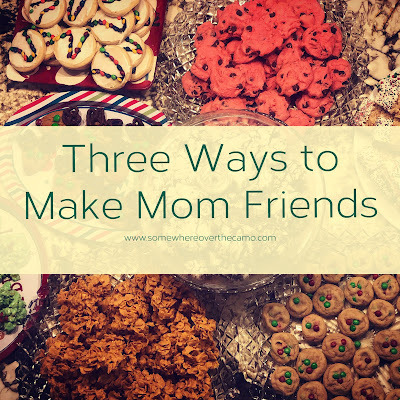 Here are my top three tips for making mom friends. The military friends. Missing a few, of course. Heather, Candy, Leigh Anne, Amanda, Abigail. 1. Network through Facebook. Our town has a mommy Facebook page that I was quick to join when we first moved here. On there a post was made by someone asking for leads on playdate opportunities. I volunteered to host and opened up our small townhouse on the other side of town to a bunch of strangers and their kids. 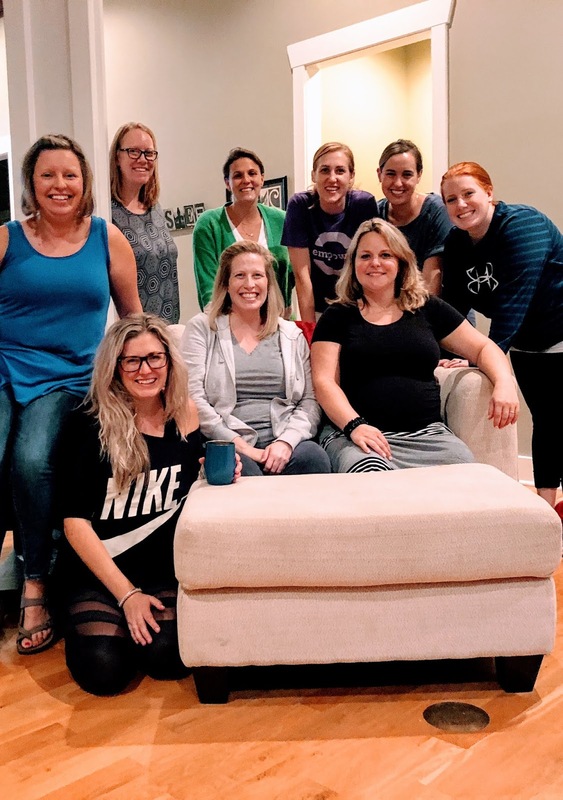 The women showed up and the relationships were started. 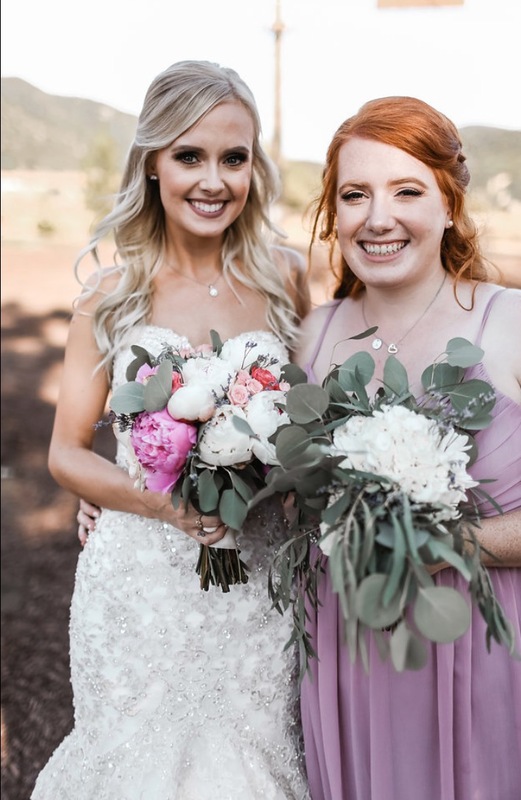 I've had several friendships bloom from these playdates, most importantly, I met our realtor who guided us through one of our biggest life accomplishments and is still a friend to this day. 2. Talk to the other moms at school pick up and drop off. Last year when Grace first started at preschool she quickly hit it off with one little girl in particular. They became fast friends. Introductions were of course made between parents of the best friends and the rest is history so to speak. Tricia is the mom friend I text daily, the mom friend I stand in the parking lot and chat with until the lot is almost empty, and the mom friend that is quick to offer a helping hand or a "you've got this". All because two 3 year olds decided they really liked each other. 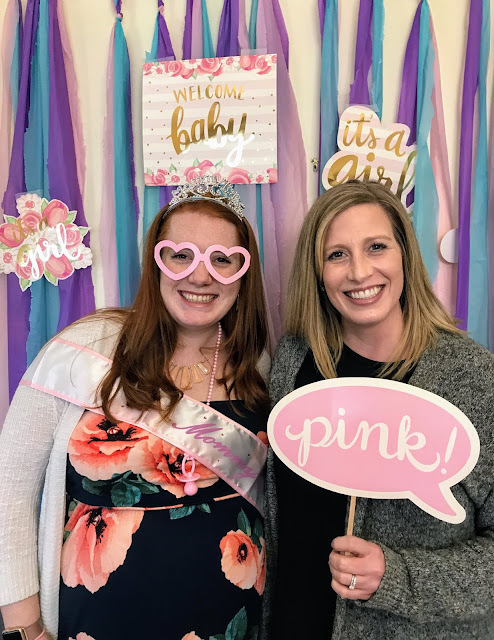 At my baby shower with Tricia. 3. Join a MOPs group. I will never stop advocating for this program. MOPs stands for Mothers of Preschoolers and is a nation wide program where moms gather in support of each other. I had heard of MOPs and even tried to attend some gatherings in other states and here in town but for some reason it never stuck until I joined my current group at Tricia's invitation. This group has led me to so many great women that invited me in with opened arms almost one year ago. I've met boss babes, heard amazing life stories, celebrated life moments together, and laughed... a lot. If for nothing else, join a MOPs group so that you can spend 2 hours away from (almost - Emily gets to go with me) all your children. Part of our MOPs book club. Again, missing many. Making new friends as a mom is absolutely vital. Putting yourself out there is HARD. It is a lot like dating (I'd imagine - I've been with my husband since I was 18. Haha.)... not every person you meet is going to be the one. But how will you ever know if you don't try? 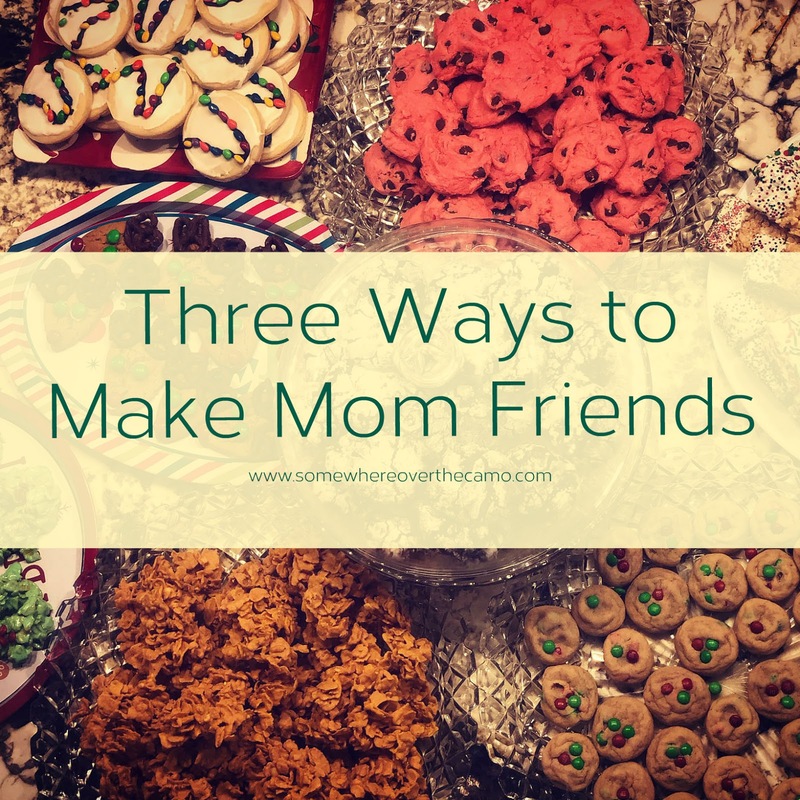 What other tips do you have for making mom friends? Making friends as an adult is definitely difficult. I am so thankful for my SLAM group, they have been a huge source of support for me.